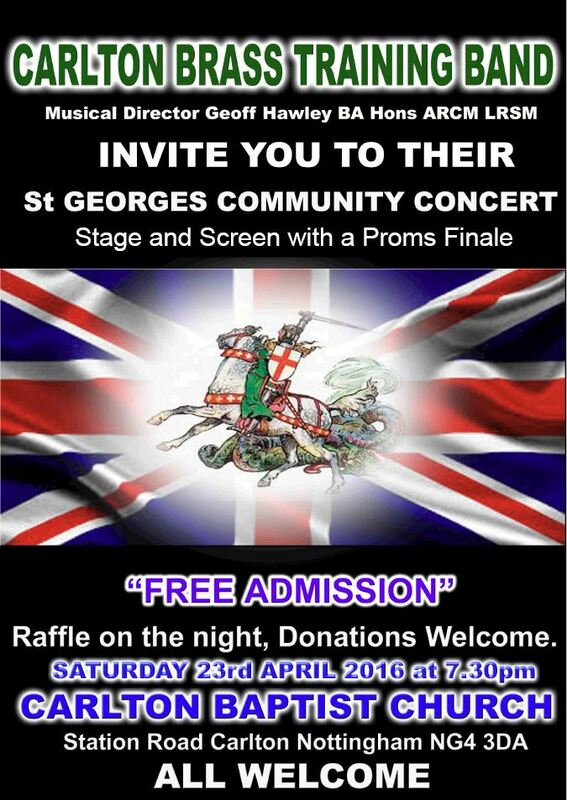 Carlton Training Band will be your hosts on St George’s day for an evening of music and entertainment at Carlton baptist church. Entry is free and there will be refreshment break halfway through, as well as a (much shorter!) raffle. Doors open at 7:30pm and the whole program is expected to last around 2 hours.